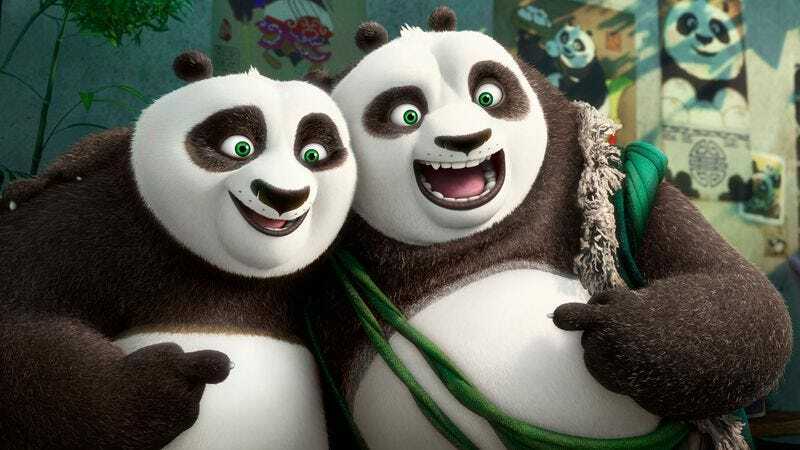 Kung Fu Panda 3 is set to have its star-studded premiere tomorrow afternoon in Los Angeles. Although we can’t fly you there, we’ve got the next best thing: Dreamworks Animation is hosting a special advanced screening of the movie, featuring a live stream of the red carpet. Likely to be in attendance (via satellite) are regular voice cast members Jack Black, Angelina Jolie, Jackie Chan, and more, as well as Bryan Cranston and J.K. Simmons, lending their deep, imposing voices to the third entry in this popular family series. The A.V. Club has an opportunity for you to attend this special advance screening tomorrow for free. For your chance to win a pair of passes, simply follow the link here and enter your information. Remember: Advance screenings are often intentionally overbooked, so be sure to arrive early if you want to guarantee yourself a seat. An official plot synopsis and trailer for the film can be found below.